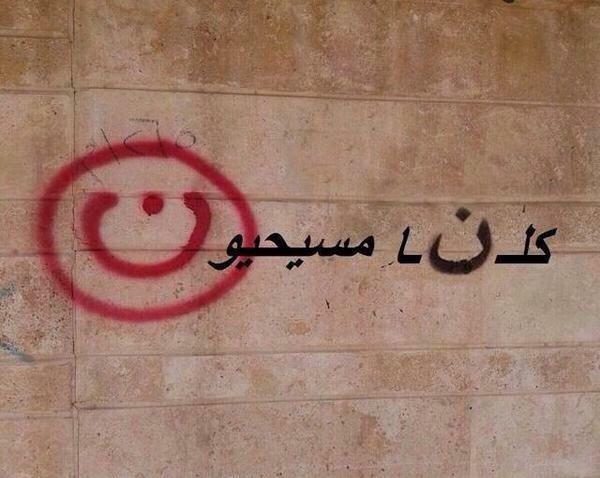 What can we do for the Christians that are being persecuted so savagely in Iraq? If you are like me, I like specifics…they help me to grab a hold of a specific action…and actually do something that will potentially help the situation. Like many believers around the world, I am horrified at the persecution of Christians in Iraq. It is a sobering moment to realize that the type of persecution I’ve read about so many times in the Book of Acts is happening in our day. Even our Lord Jesus spoke of the reality and the blessing that He will give to those who suffer for the faith. As I’ve pondered it all, here are five things that we can do about the persecution of the church in Iraq. 1. Be informed. There are a multitude of news agencies carrying the details of what is happening in Iraq and specifically in Mosul. My caution is to be careful as to what you read and watch. In our day of 24-hours news reporting, anyone with a computer can post information to the Internet. Stick to trustworthy news sources and stay informed. I am watching some of the traditional news sources, Open Doors, The Voice of the Martyrs, and the International Mission Board. 2. Use your influence. Many of us believe we have little influence when that is really not the case. You have influence with governmental leaders through a simple phone call. You have influence through your social media accounts of Facebook, Twitter, and all the like. You have influence with friends to make them aware and engage them into the work. Use what you have. 3. Give. There are many organizations that are mobilizing right now to get relief aid to believers under persecution. It will continue to be difficult (and dangerous) to get supplies to the believers in Iraq. Nevertheless, those of us with much must be ready to give to those in the church that have little. 4. If you are called, go. But only if you are called. We do not need anyone with a hero or martyr complex to run off to the border of Iraq thinking that they are going to sneak in and save the day. Instead, if you feel a sure and certain calling from the Lord, answer it. As we are witnessing a renewal of New Testament-era persecution, the Lord will call those from among His church to do His work to care for His people. 5. Pray. It is the most powerful thing we can do. Together we must cry out to our Heavenly Father. Ask Him to intervene on behalf of our brothers and sisters in the faith. Please pray for the Iraqi Christians forced from their homes in Mosul under threat of death. Pray for God’s protection on the lives of parents and children. Pray that they would miraculously receive physical provisions of food, shelter, and safety. Pray that believers will be strengthened by the Holy Spirit. Pray that they will display the gospel even in these horrific days. I am unable to fully communicate my horror at it all. It all drives me back to an understanding that this world is terribly broken and that people are horribly fallen. But, I know that Christ is able to keep those who belong to Him and will deliver them into His eternal presence.